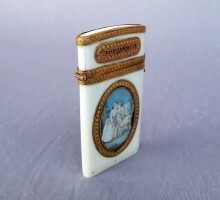 Friendship souvenir case. 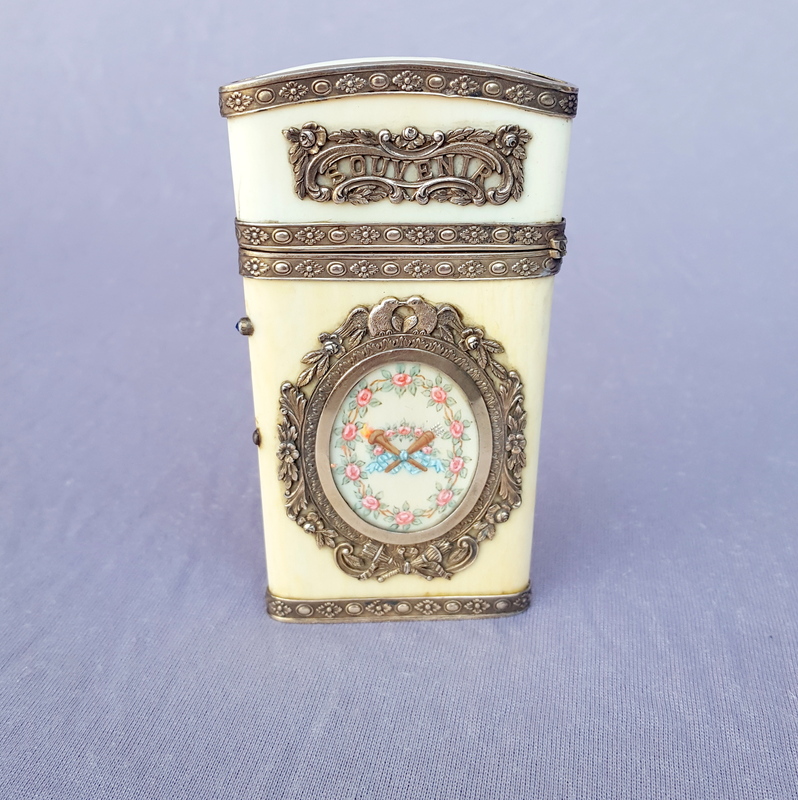 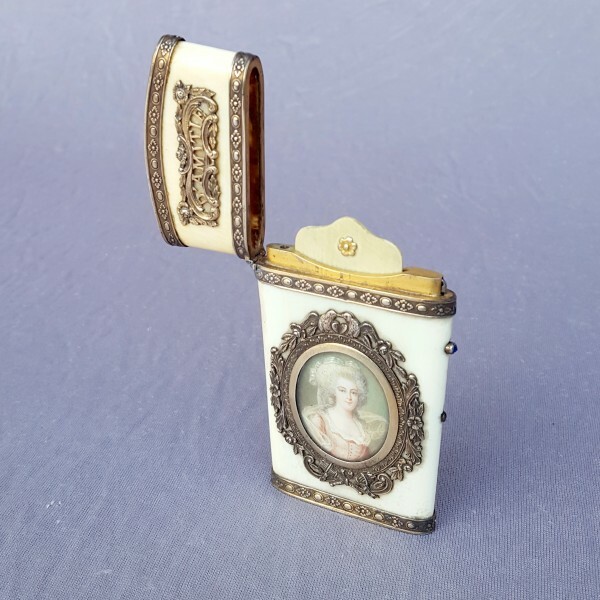 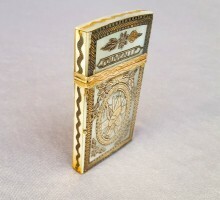 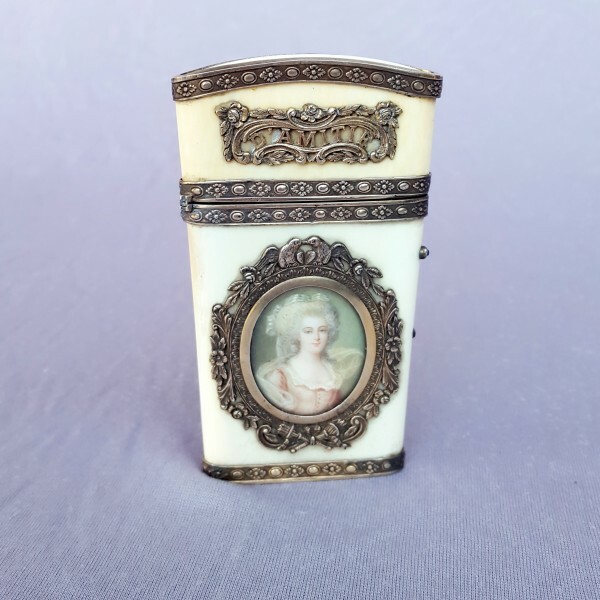 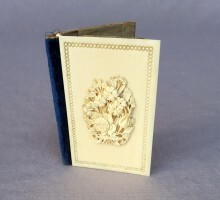 It is in ivory, metal frame and inscription “souvenir” on one side and “friendship” on the other. 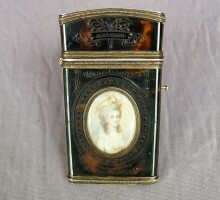 A miniature on each side, on one side it represents a crown of flowers and the attributes of love, on the other the portrait of a lady of quality. 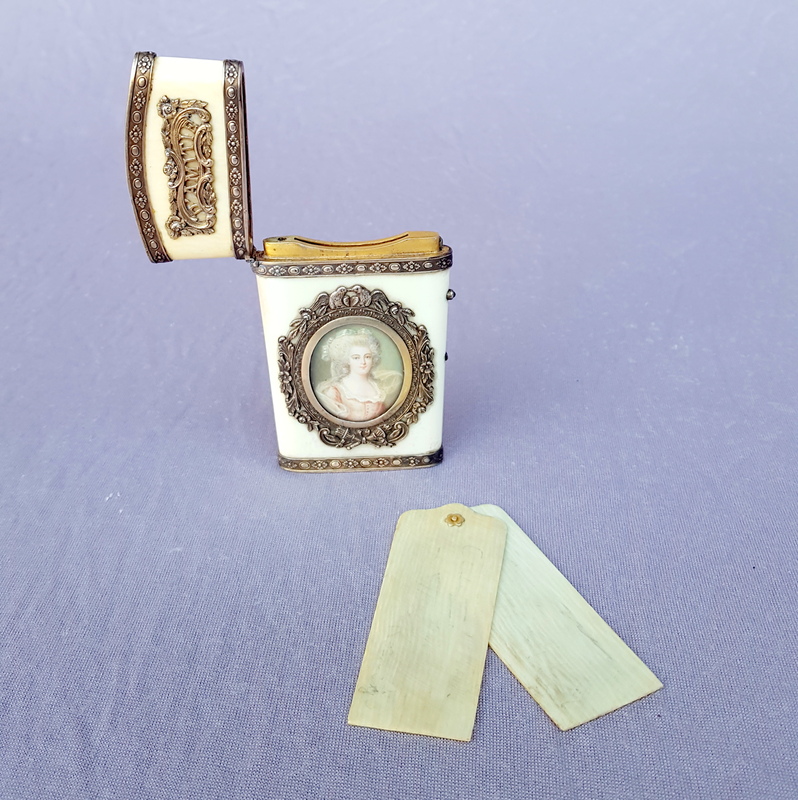 It contains two ivory writing plates. 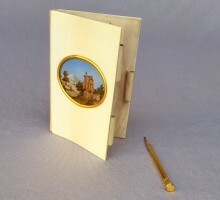 It is 3,8″ high and 2,16″ wide. 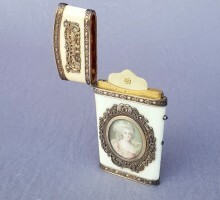 It is in good condition, to indicate however the fact that it misses the small pencil.